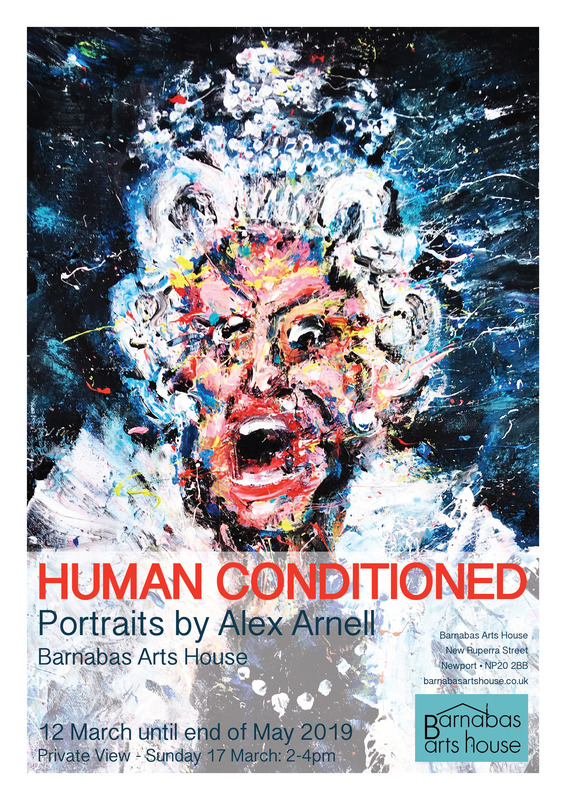 A long standing favourite at Barnabas is the London based artist Alex Arnell. He returns to the walls of the gallery on Tuesday 12th March with a body of new work called ‘HUMAN CONDITIONED’ and explores portraiture in a rather unconventional way! Alex is well known for his street art around the area of Brick Lane in London sometimes creating pieces of sculpture from found disused objects. There will be a piece of such sculpture to be viewed at the private view on Sunday 17th March from 2-4pm. This is a chance to meet with the artist and enjoy Barnabas hospitality. The exhibition runs from Tues 12 March until the end of May. All works are for sale. Don’t miss your chance of purchasing an original piece of artwork.